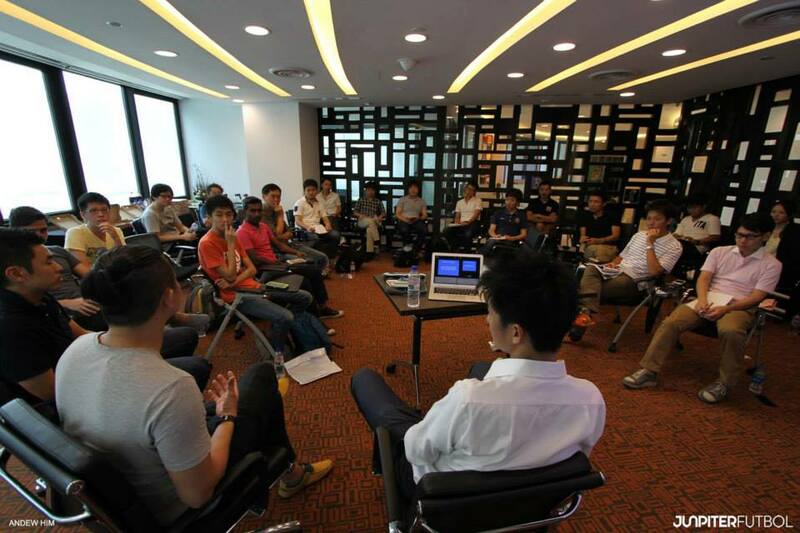 On Wednesday, 11th November, ‘Singapore -Japan Media Talk’ was organized by the Institute of Future Asian Football. This media talk was being held for the second time and was in continuation to media talk held in October last year. This year, the media talk was organized as a part of Yoichi Takahashi SJ49 Friendship Singapore Tour 2015 held from 10th November to 12th November. 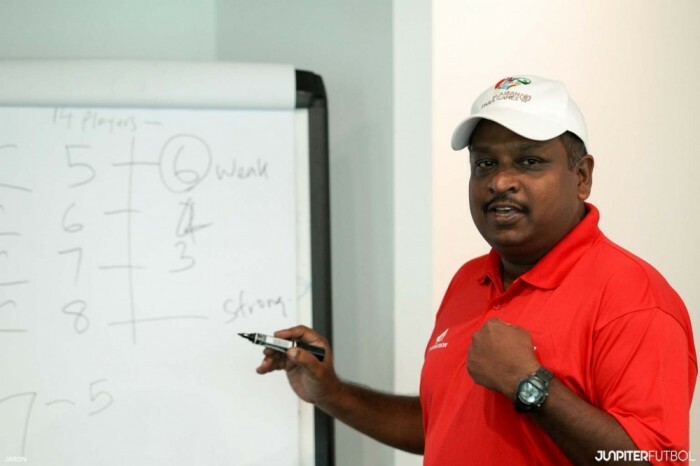 The manager of the Singapore Cerebral Palsy Football Team, Mr. Mohammad Zainuddin who was present at the media talk talked about his team. There was also talk session with Mr. Takahashi, the creator of Captain Tsubasa and he answered many questions about Captain Tsubasa. 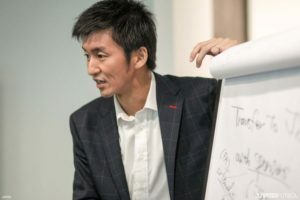 The Institute for Future Asian Football had organised this media talk in continuation with last year so that there would be a discussion between Singapore and Japan media to understand the various challenges that Asian football is facing and discuss how progress and development can be done. “As compared to the European clubs, what is it that is lacking in J.League’s Asian strategy?” This was the main theme of discussion among the media of the 3 countries present. There was a sharp criticism by the Singaporean media that in the present circumstances, it is very difficult to get the local Singaporeans interested in J.League. “J.League matches are played only in the afternoon time, and hence in spite of the matches being broadcast in Singapore, it is difficult to watch them.” (※ Actually there are matches that are played at night but it seems that locals do not know about these matches.). People do not know much about J1 players, let alone J2 or J3 players. “When Dortmund conducted an Asia Tour, they had a very planned PR even before the matches. J.League clubs do not seem to be making any such efforts.” These comments made by foreign media are the harsh realities regarding J.League’s Asia Strategy. “If J.League gets some of the star players from Singapore, it can sharply improve the popularity of J.League in Singapore.” This was one of the suggestions that came up from the Singaporean media. This year Singaporean DF Safuwan Baharudin is playing for the Australian League and since then the popularity of the A League in Singapore is on the rise. With this background, the discussion regarding J.League adopting a similar strategy gained speed. 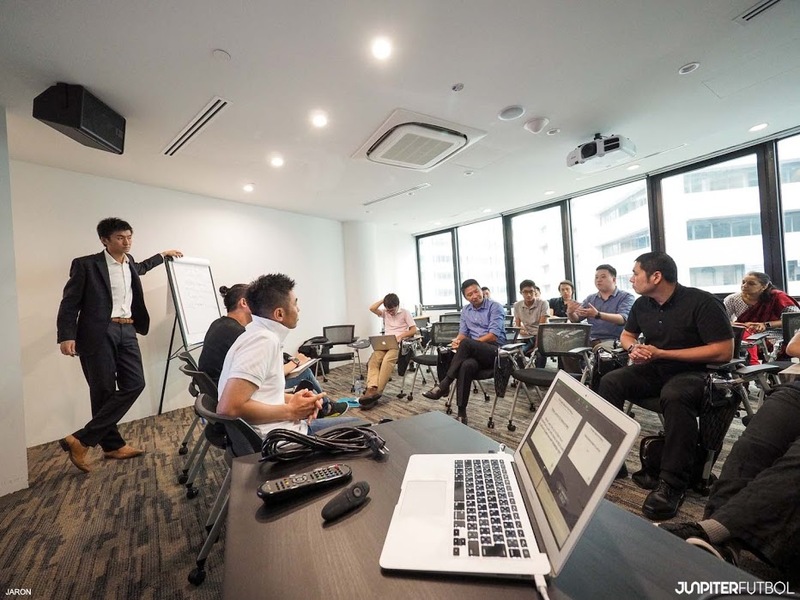 It was discussed as to what are the things that can be done to provide a conducive environment to to make the transfer of Singaporean players to J.League easier. 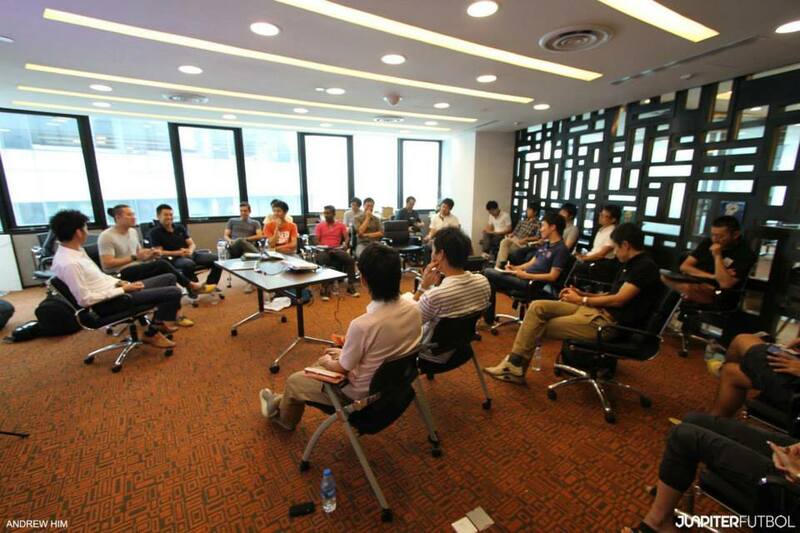 In order to create a conducive environment, mainly two points were raised. First was to do away with the language barrier. Since the J.League members including the players can communicate only Japanese language, it is seen as a major problem for the foreign players. Second was support by football associations and sponsor companies and the media exposure that comes along with it. There is a good example of J.League gaining popularity by getting star players from South East Asia. When Consadole Sapporo acquired Lê Công Vinh from Vietnamese national team, J.League became known in Vietnam. But the bottle neck in getting the top players from SEA is the very high yearly salary that will have to be paid. In this situation, sponsorship from the companies that want to expand their business in SEA and support of Football associations can be helpful to make the acquisition of players possible. 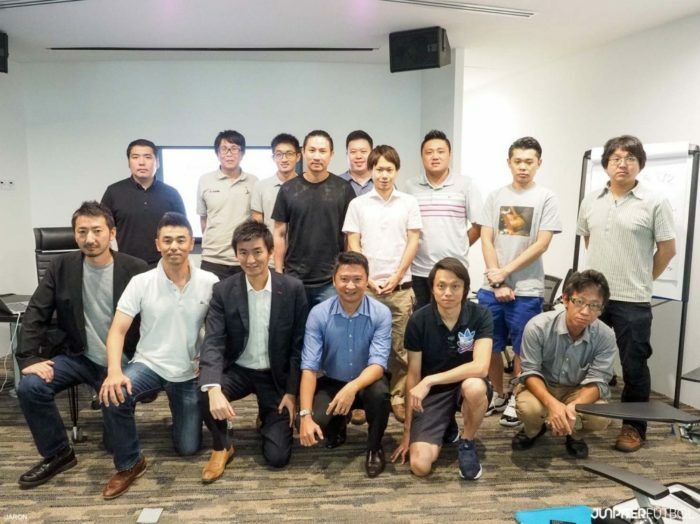 In addition to that, the second important factor is to convince the companies, the importance of such investment in collaboration with the media in order to maximize the promotion effectiveness. In 2015 season, when Seiko Epson was the sponsor for Matsumoto Yamaga, they were thinking of getting a player from Singapore. But finally in the discussion it was agreed that this method is the most ideal way. 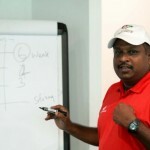 ※ Epson Singapore is one of the sponsors for the Football Association of Singapore. They have sponsored 3 players from Singapore National U14 team to go to Matsumoto Yamaga FC for one week. Epson is supporting the grass root level football as one of its CSR initiatives and sending these players to Japan is a part of this initiative. At the same time when the U14 players went to Japan, the Singaporean Goal Keeper Izwan came into limelight due to his play in the Singapore –Japan qualifier match for Russia World Cup. Matsumoto Yamaga hinted that they might want to get Izwan in their team leading to a big news in the Singaporean media. It was a mere coincidence but helped Epson’s popularity in Singapore. This is similar to the case of Kazu who got transferred to Italy in 1994, with Kenwood as the sponsor. Though at that time, Kenwood was not having a big influence in Italian market, it was definitely aiming for the Japanese market. In case of this model, the Singapore market is a bit small which might be a hindrance. From the view point of the companies, larger markets like Thailand, Indonesia, Vietnam are a higher priority. “To mobilise J.League’s Asia Strategy, one of the most effective way is to acquire star players. For that, it is not only important to do away with the language barrier but also to do a more aggressive pr and highlight the merits of the sponsor companies.” This was the conclusion of the media talk. As compared to the European League which has very high level of play, Acquiring and engaging the SEA star plars is an achievable goal for the J.League and will be beneficial in the long run. Institute of Future Asian Football would like to continue to development of Asian football by conducting such discussions from time to time. During the media talk, there was a session by Coach Mohamad Zainuddin introducing the 7 a side football played by the players with cerebral palsy (CP Football). He also talked about his team (Singapore CP Team). The CP Football pitch is half the size of the regular pitch and the duration of the game is 30 minutes x 2. The CP team has 13 players and they practice thrice a week. Got good information about CP football that we normally do not know. During the media talk, a Q&A session with Mr. Takahashi was also organized. 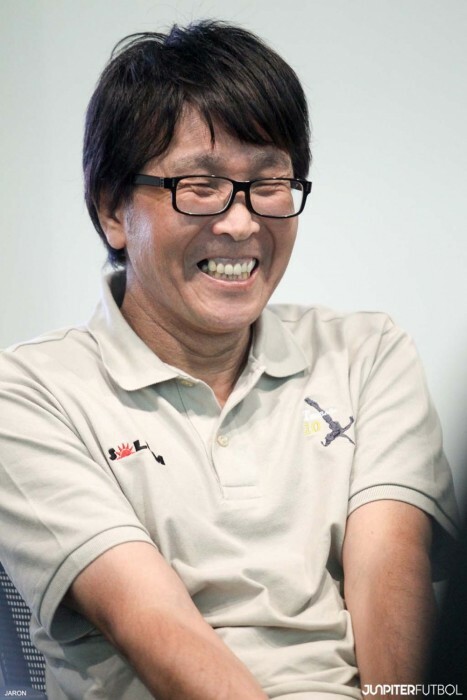 There were questions like “Will you continue to draw Captain Tsubasa even after he retires?”, “What is you plan for the new series of Captain Tsubasa?”. With a lot of questions from the local media, once again realized the popularity of Captain Tsubasa in Asia. Cityhub is a premier serviced office established in the year 1999, with the aim of providing a one-stop business solution for entrepreneurs, start-ups and multi-national companies looking to establish themselves in Singapore. Since then, CityHub has grown to become one of the leading Serviced Offices in Singapore, and has also expanded to the bustling shores of Ho Chi Minh City, Vietnam. Over the years, CityHub has undergone multiple expansions and relocations, its most current move situating the company in the business hub that is Raffles City. Other locations include a spacious 15,000 square foot area in the prime location of Ngee Ann City, as well as the penthouse of the prestigious Saigon Trade Centre, in the business district of Ho Chi Minh City. Having established itself as a brand name in Singapore, CityHub counts many successful multi-national and local companies in our clientele list, winning them over with our excellent service, stylish office interiors and state-of-the-art office amenities. CityHub aims to continuously improve our service and facilities, ensuring the service of the highest quality for our current and potential customers.